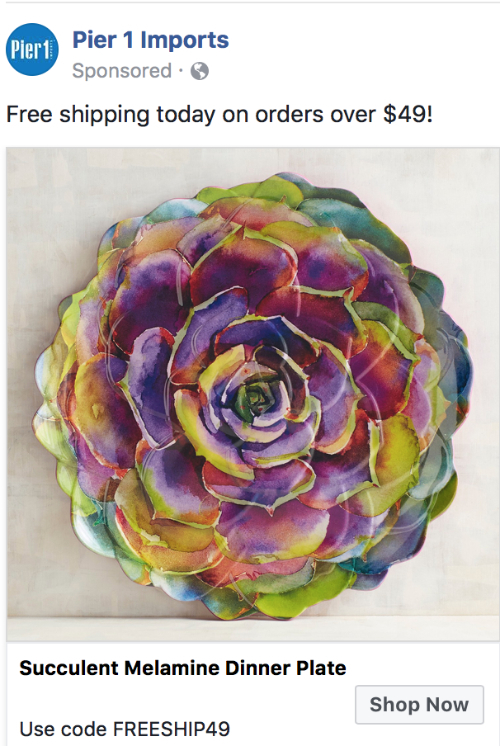 One day an ad for this stunning Succulent Melamine Dinner Plate from Pier I Imports appeared on my Facebook feed and I immediately thought – POLYMER CLAY!!! I saved the image and decided to create my version as a bold pendant. I’m pretty pleased with the result! To create the green for the succulent, condition and mix 4 oz Wasabi with 1 oz Spanish Olive. Roll with clay machine, starting on setting #1 (thickest) and proceeding one setting at time to setting #4. Place onto tile (or other nonstick surface). Use 60mm cutter to cut disc from rolled clay. Use 16mm cutter to cut numerous circles from rolled clay. Gently pinch together edge of each small circle to create tip of each leaf. I based my coloring upon the inspiration photo, but change your colors as desired. Pour out a small amount of each color of acrylic paint. Cut sponge into small sections. Dampen sponge pieces. 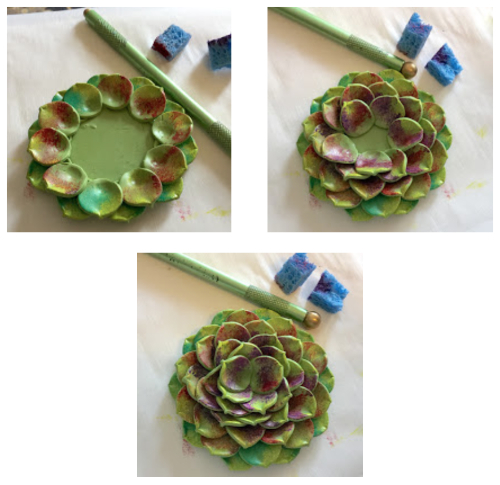 Gently dab a sponge section into each color of paint and very gently sponge paint onto leaves in desired combinations of color. Use 2-3 colors on each for the best blend of shades. Begin arranging leaves around the outer edge of the base disc, letting about 1/4” extend beyond the disc. 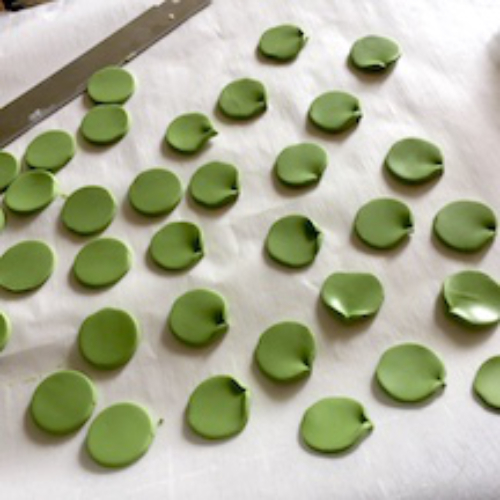 Use sphere tool to gently impress bottom edge of each leave into the base. Repeat with next layer, placing leaves over the spots where the base layer meet as shown. 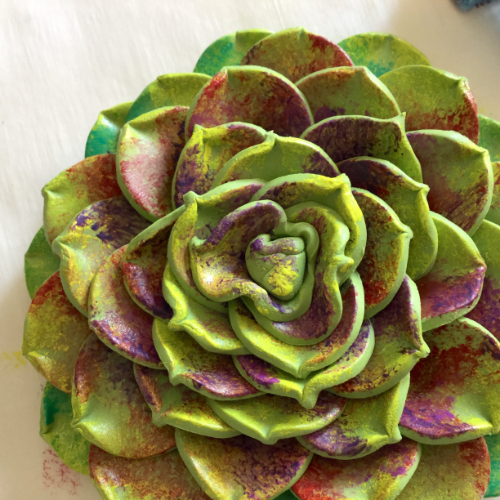 Make a small somewhat triangular shaped piece of clay to fit in center of the succulent. Sponge a touch of color on center piece. Bake according to manufacturer instructions. Let cool. Roll a scrap of the green clay and cut a small circle. Roll into tube and mount to back top of pendant, using a touch of Bake & Bond to adhere. Bake according to manufacturer instructions. Add satin cording and closure if desired. 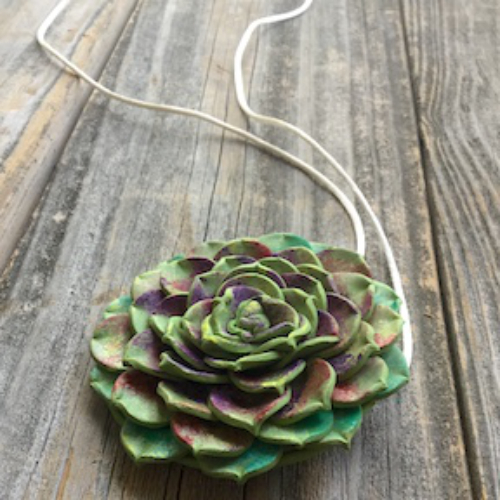 The succulents you make are incredibly real looking, awesome!